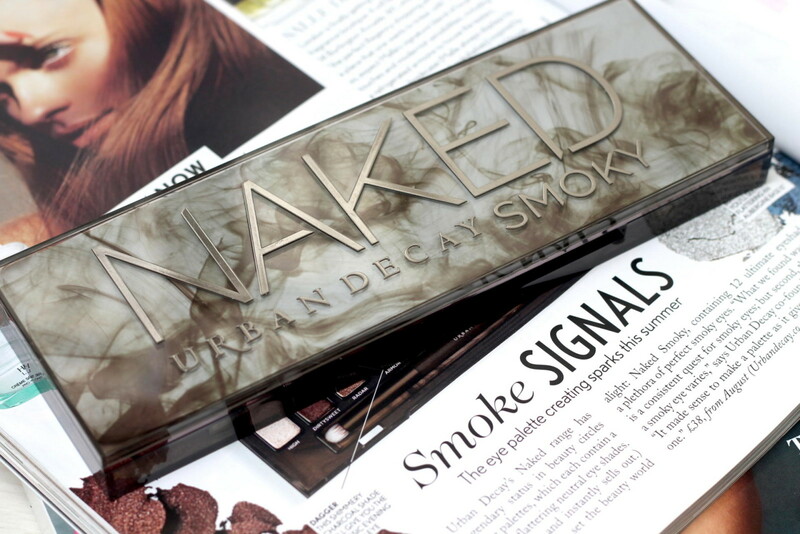 Can Urban Decay be more on point with the timing of this palette? The palette launched a couple of weeks ago in the UK and my birthday just so happened to be around the same time. Thanks UD. 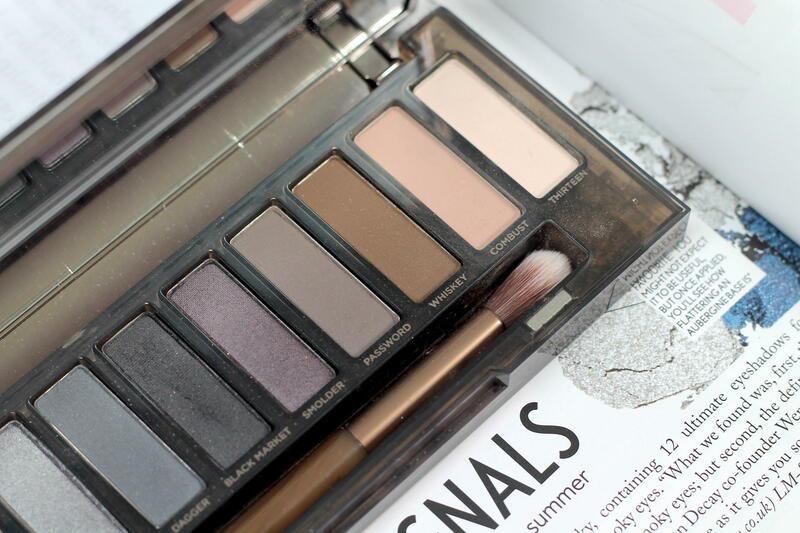 You have all most likely heard of the original Naked palette and of course numbers 2 and 3. These 3 palettes contain 12 neutral shades, 1 being warm tones, 2 has cooler tones and 3 has 12 shades of pinks and blush tones. The Naked Smokey palette however is a mixture of all 3, containing the best of the bunch to help create the perfect smokey eye. The palette consists of neutrals and golds to cool toned blues and greys, then at the end of the palette there are purples and matte neutrals. Five shimmery shades, three satin and four matte shades, this palette has everything covered to perfecting that ever talked about smokey eye. I spared no time in trying out this palette and as soon as I received it I couldn’t wait to create new and exciting colour combinations (after i’d stared at it for a while of course) *Insert all the heart eyed emojis*. My favourite combination so far is by using Combust which is a matte neutral shade, through the crease (this is an amazing transition shade). High all over the lid which is a champagne shimmer shade, the shade password through the crease and Thirteen to highlight the brow bone. 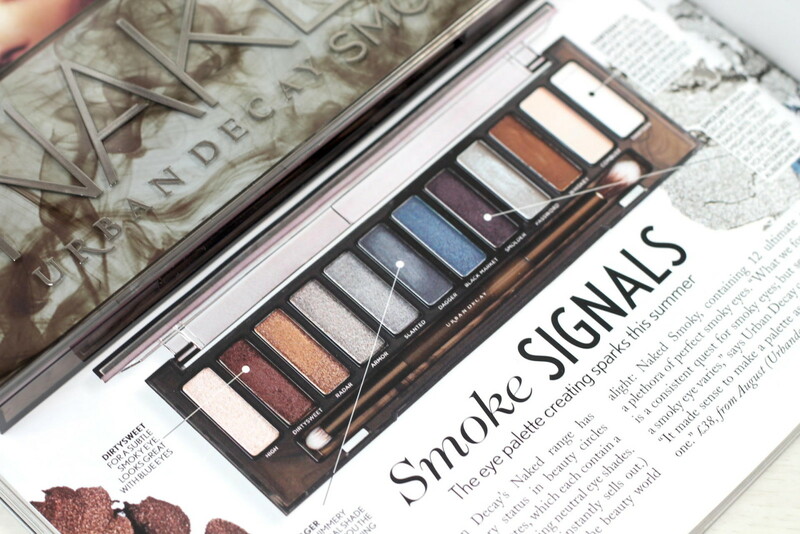 If your new to creating smokey eyes and using eyeshadow, Urban Decay have added a detailed look book that shows you how to create four of their favourite looks to ‘get naked and smokey’. 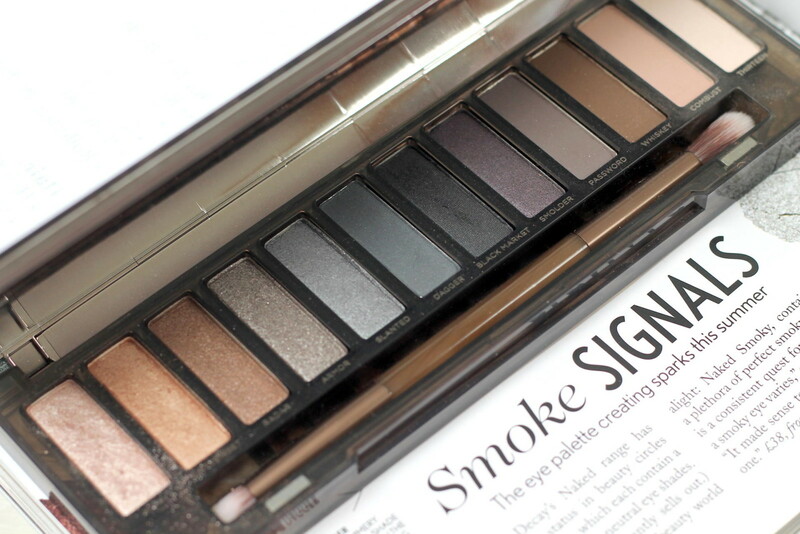 I am shocked that this palette hasn’t sold out yet, the women in the store said that these are while stocks last so if you want to add Naked Smokey to your UD naked collection I would head down to your nearest store and pick one up. Or you can order it online here, here or here. 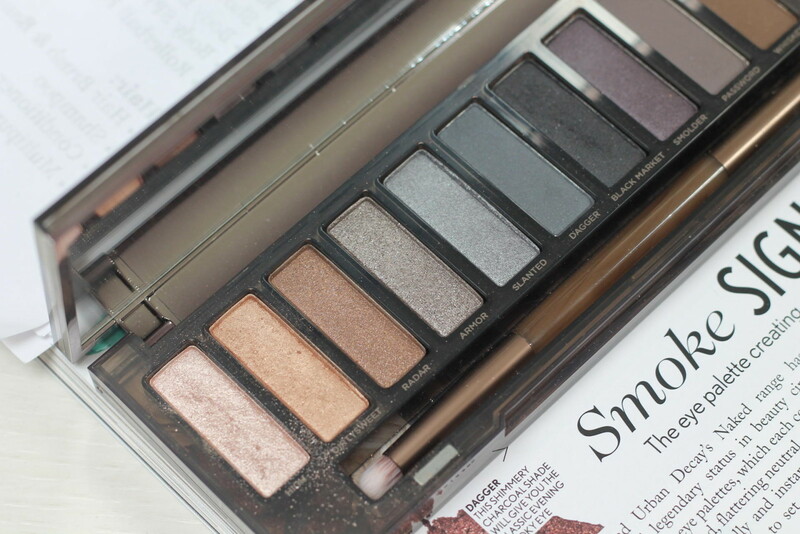 What are your thoughts on Naked Smokey?